The 5th World Robotics Sailing Championships were held in Cardiff Bay, Wales, from 17th-21st September 2012. The event saw 5 teams from around the world, pitting their robotic seafarer wits against one another in a variety of demanding challenges from collision avoidance to long distance sailing. 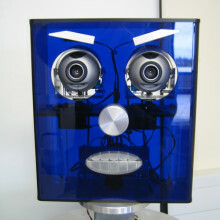 Colin Sauze is a robotics researcher at Aberystwyth University. He's also one of the organisers and a competitor in the championships, and he's with us from Cardiff. Chris - So, how did this competition get going? Colin - Quite a few years ago, I was at the end of my undergraduate course and beginning a PhD looking into robotic sailing and my PhD supervisor at that time was contacted by a guy from France called Yves Briere, who's a Professor at a university in Toulouse. 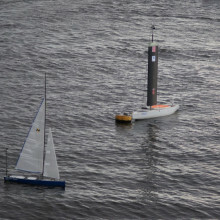 They had this crazy plan to race robotic sailboats across the Atlantic. And so born out of that was something called the Microtransat Challenge, and the aim of that was that in 2008, we would sail with as many teams that were interested across the Atlantic. And in 2007, we planned to do a warm-up race off the coast of Aberystwyth and in 2006 we did one in Toulouse. 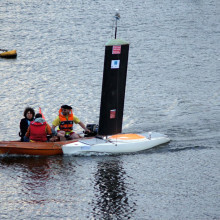 Almost simultaneously, a group in Canada actually started the same idea, but on a slightly smaller scale, just racing 2-metre boats that were semi-remote control, semi-autonomous around and they call that competition SailBot. When it got to 2008, we actually had some logistical issues getting the transatlantic race organised. So, one of the teams who were competing from Austria with a guy called Roland Stelzer at the Austrian Institute for Innovative Computer Science founded what they called the World Robotic Sailing Championships, which was just to keep going this idea of having short, manageable races on lakes or just offshore where people could compete and sort of develop ideas and come together, and also, to attach that with a 1-day scientific conference on the whole robotic sailing field. Chris - So, the whole thing got together and now, you have an international community behind this endeavour. Colin - Yes. I think there's about 20, 25 groups actively working on this worldwide of which we have 5 or 6 here with us this week. Chris - What are you actually working on? What are the challenges involved in making a boat sail itself? Colin - So, there's a huge sort of, multidisciplinary set of challenges. The first is you've got to make something that floats, that will survive at sea, that will sail appropriately, that will be able to fight the currents. You've got to make a computer system that can sense the wind, sense where the boat is going, sense its direction, and actually compute a sensible course, and then you've got to build something electrical and mechanical that will allow you to set a rudder and a sail appropriately, and actually facilitate you sailing that. All that's got to work together and it's got to work together for probably several months at the time if you're ever going to cross the Atlantic or stay out at sea to do oceanographic monitoring. Chris - How big are the boats you're building? Colin - So, for the Microtransat, we've actually set a limit of 4 metres, mainly as a safety thing that if they should collide with anything, they're not going to do too much damage. So, for the competition this week, we actually have the smallest boats of 53 centimetres long and they're off-the-shelf radio-controlled boats called Micromagics. We actually have 2 groups bringing them and there's I think 7 of those in total. The largest boat this week is actually our own which is called BeagleB and that's 3 ½ metres long and it's based on a sailing dinghy that's actually designed for a disabled sailor. Chris - So, that's quite big, isn't it? Chris - So, it's not just a question of making something float and then obey pre-set commands. This has got to do what really good yachtsmen and women do, reading the weather, reading the sea ahead, and reacting to change. Colin - Yes, it does. Chris - How do you programme that? Colin - Ours, we have a computer on-board that reads from a GPS, a wind sensor, and a compass. It has a set of weigh points that it tries to hit and by evaluating those and setting the sail and rudder appropriately, it tries to hit them. More long term though, we have some sort of research aims to try and start coping with things that fail and things that degrade, and how you might actually have to adjust the behaviour of the robot over time to cope with actuators that jam-up and maybe you can't move your sail as efficiently as you could before, or possibly you can't even sail certain courses. You have to adjust your course and think about different routes. Chris - But what about other things like the tide? At different stages of the tide, not only will it run in a different direction, it will also run more fiercely or with less force. Can you sort of give it the charts and it will factor that in because obviously, a person who is a human doing this would know, "Right, I'm going to face X number of knots of tide at a certain point" and so, you'll compensate for that? Colin - Yes, you can build a tidal plan that tries to compensate for that. The difficulty with small boats is sometimes the tidal current will actually be stronger than you can make your boat sail. Chris - Exactly and a person would do something about that. They'd say, "Right, I have to come up with an alternative strategy" and they go the other way. The robot, what would that keep doing? Would it just keep on relentlessly trying to go the right way until it just ends up on the rocks? Colin - Most of the robots at the moment would be that naïve and just try and do that. It's an area of on-going research and there are certainly some people looking into trying to get around that one. But it's not a simple problem, especially when you get things more complex than the tides. You get tides combining with currents, combining with local conditions of the wind. Chris - What about other boats? Because we have this "International Regulations for the Prevention of Collisions at Sea" that all people who get there RYA certificate and the international equivalents have to subscribe to a knowledge of, so we don't bash into each other, we pass to port and so on. How do robots react when they see another boat coming? How do they tell that is a boat in the distance, it's not a buoy or it's a rock, or a lighthouse, or just a big wave. Colin - Again, that's another on-going problem. So, there's quite a few approaches to that. One is that all commercial shipping carries a system called AIS, which is Automatic Identification System that actually transmits a radio broadcast, signalling their position. So, one strategy is to pick up those broadcasts, but obviously that doesn't work for smaller boats that don't carry AIS. The other thing is to start looking with a camera or with some kind of radar to try and scan the horizon, and work out where the obstacles are and try to avoid them that way and also, carrying basic things like navigation lights and radar reflectors so that other people see you, and don't run you over, hopefully. Chris - And is the idea of getting lots of people together internationally and introducing an aspect of competition, is that to sort of force the field forward a bit or is it just for fun? Colin - Well, both. It's for fun, but it's also...and it has made a huge difference in bringing the field forward. We started with 3 teams in 2006. We now have over 20 groups worldwide, actively working on this. Chris - Is this something that really will become an industry in the future? Do we foresee a time when people will do away with Ellen MacArthur and you just put a robot on the boat instead? Colin - I think for actually sailing large passenger vessels, you will always have a human in the loop, just from a safety point of view. But what we might see is an increased amount of automation. But at the other end of the scale, what we envisage is that smaller boats might be deployed as oceanographic monitoring systems or for monitoring coastlines with radar to look for smugglers, or maybe going and sailing along transects in waters you don't want to send people into - maybe the Arctic or the southern ocean in winter. So, that could really help with getting oceanography research and climate change research done without putting people at risk, and maybe something that's a bit more versatile than just drifting buoys that we tend to use at the moment. Chris - And how far away are we from a situation where you can foresee a robot boat being able to do a circumnavigation? Colin - Of the world? Colin - At least a few years away I think from that one. No one has made it across the Atlantic yet. We've had 3 teams try - ourselves in 2010 and a team from Brest in France tried both last year and this year. The team from Brest have done the best so far and I think they got about 200 miles before they lost track of their boat. And actually, theirs washed up in Ireland a few weeks ago. Chris - In one piece? Colin - Mostly in one piece fortunately. Chris - So, what went wrong? Colin - They're not entirely sure yet. I don't know if they've actually got it back. It looked like something may have run over it or a wave may have broken the rigging off, but the actual hull looked quite intact from the pictures I saw. Chris - Thank you very much. 09:16 - What is the future for robotics? Alan - Well, I'm sorry to say Dominic, some way away. 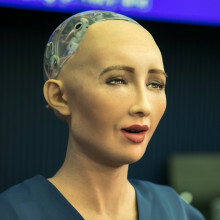 It would be easy to be deceived because at present, we can build some quite remarkably high fidelity android robots, especially if you look at some of the robots from Japan. But the problem is that their behaviour doesn't match their appearance. It's what I call 'the brain-body mismatch problem'. So, those android robots may look terrific, but they're little smarter than a washing machine. Dominic - And I guess all these robots are based on computers and we've seen tremendous developments in those computers in the last 25 years. How has that affected what those robots were able to do? Alan - Well, surprisingly little and that may shock you. You're absolutely right that of course, we have extraordinary levels of processing power, and we can put incredible computing power into the robots. The problem is of course that the computing power is just a raw material. It's how you use it that's important and solving the fundamental problems of artificial intelligence - in particular, general AI - the ability to solve general problems, for instance, still eludes us. So, that's a problem of designing the AI so, until we solve that problem, no amount of computing power is going to help. Dominic - And I guess a factory is a fairly well-controlled environment where you know what kinds of objects the robot is going to encounter whereas a home is a much more complicated place. Alan - Well, that's exactly right. I mean, as you said in your introduction Dominic, the transition that's going on right now is from robots in factories and warehouses, and undersea exploration, and so on, to personal robots. To robots that will actually be workplace assistants or companions - therapeutic robots in the home. But it's fair to say that we're still at the beginning of that transition. Dominic - I guess there are also safety issues here because in the factory, you can fence the robot off, but in a home, you really don't want it pulling someone's arm off. Alan - Well, that's exactly right. I mean, one of the major problems that's being addressed in the field of human robotic interaction right now is robot safety. It remains a very challenging and unsolved problem. And as you say, not just the physical, as it were, strength of the robot is a problem but also, the fact that the environment is completely unpredictable. Building a robot that can both deal with those uncertainties and be completely safe, utterly safe around children for instance is a big challenge in robotics. Dominic - You mentioned safety around children. What sort of applications are you envisaging and do these safety concerns affect your choice of applications? Alan - Well, I mean, I mentioned children simply because children might be present in the home. I mean, some people have spoken of robots that might for instance help, look after children, childcare robots, but personally, I think that's going too far. I'm one of those roboticists who think that some areas of human activity should not be replaced by robots, and I think childcare is one of them. Dominic - And I guess also looking after the elderly might be a similar problem. 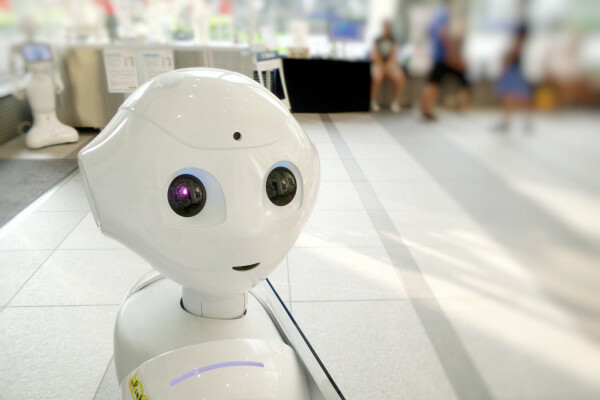 Alan - Well, indeed and care for the elderly is something that's particularly pressing in the Far East, and Japan and South Korea already are very advanced in healthcare-assistant robots for the elderly. But I have to say that it's a problem that we're facing too in Europe. Again, very difficult technical challenges, but also, the ethical questions are those that we need to be concerned about. In other words, would it be ethical to - for instance - replace a human carer with a robot? Dominic - What do you think about using robots in education? I guess there's two questions there because it's whether they can be used to teach and this question that whether children could learn about science and technology by playing with robots. Alan - Well, absolutely. I think that the second of those points you just made is absolutely wonderful. There's no doubt that robots are an extraordinary, if you like, tool for education. I mean, in UWE for instance, we've been using robots for probably 15 years to help teach programming to undergraduate students. But as for robots actually being teachers, again, I can see roles for such robots as an assistant or offline teacher, but certainly not replacing human teachers. For young children, it would be great if their 'robo-teddy' for instance might be able to read them stories, and there's a kind of educational function in that. Dominic - So, looking at head, what do you expect to see in the future from robots in the next 10, 20 years? Alan - Well, that's a hard question. Certainly, there's a whole range of research that's going on right now in human robot interactions. So for instance here in the lab - Bristol Robotic Lab, here in Bristol - so we have work for instance on gestural communication so that robots can understand human body language. We have research in object recognition and handling, so that if you ask a robot for instance to pass you the cup of coffee, it can actually recognise the cup and then of course safely, pass it to you. Other areas I think that are slightly more far out, but I think are equally important are new materials. 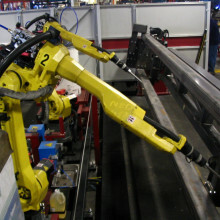 So robots need to be lighter, they need to be compliant and soft. Then if all else fails and the robot falls on you, it won't do you any damage because it's too light, for instance. And then the area of robot self-awareness, for instance. I think that these future companion robots will have to have a level of self-awareness in order to function properly and do their job. I think it's worth saying as well, Dominic, that putting together an enormous range of, at the moment, separate pieces of robotics research is a grand challenge in robotics. Dominic - Thank you very much. That was Professor Alan Winfield from the University of the West of England in Bristol. Chris - Alan, you're going along to see Colin's boats? Alan - Well, I'd like to very much. I know the group at Aberystwyth well. Terrific, good luck with the race, guys. Chris - I've had a question for you from Catherine Hiscox and she says, from Hemel Hempstead, "Will robots be able to think for themselves?" What do you think? Alan - Yeah, it's a good question. The problem is, of course, we don't actually know what thinking is. But I would say in principle, yes, they should be able to think for themselves, but it's going to be a long way into the future I'm afraid. Chris - Thanks very much, Alan. 16:24 - Will robots be able to think for themselves? 16:47 - What sort of robot would you like? Kevin Norman (@kevinICdesigner) - Telepresence robot to commute, go to work and attend meetings for me! Martin (@LHCollision) - One that serves me grapes. Eugene Prinsloo (@SouthrnComfort6) - Driver! RhyssRonan (@RhyssRonan) - Sexbot, natch. Chris - Paul, first to you. Why is the US Navy dabbling in this? What are you hoping to learn? Paul - Well, the main reason we're doing this is it has application for our students to practice their skills and to develop their undergraduate programme. Naval architecture is designing ships and building ships, and it's really tough at the undergraduate level to actually build a whole ship. But at the smaller scale, just 2 metres long, our students can design, build, and operate the boat in their senior year. Chris - I presume also, if you can get a robot to sail boats for you, it means that you wouldn't have to have expensive sailors aboard them and that might be one reason why the US military is interested. Paul - Well, one of the projects we've been looking at is an oceanographic research platform. We've tested sending the boat out, and the boats cost around 4,000 or 5,000 US dollars and it'll be able to go out and take depth soundings after a storm for instance to see how much silting has occurred. That would replace a vessel that may cost 10,000 or 15,000 dollars a day to operate. So, we're returning a lot of savings. Chris - What are the big problems that you're struggling with in order to get boats that will do what Colin was saying earlier and come across the Atlantic? So, you guys on the eastern seaboard and that beautiful city of Boston where I know Mariano is from - he's going to talk to us shortly - so that you can come and see us here in England. Paul - Our biggest problem so far has actually been power management. The boats, well they're powered by the sails. Their computers and their servo controllers, for instance for the rudder and the winds that controls the sail, do require electricity. But the boats only weigh about 40 pounds and there may be only room for a few pounds of batteries. So, how do we generate that power in all weather conditions to maintain that computer operation? Chris - But batteries have come a long way and being out under the Sun every day, you must be able to get quite a bit of energy from solar or maybe even wind. Paul - We can get some solar power and we're hoping that that will be enough but actually, the trade-off is that if you made the boat big enough to carry a lot of solar panels, it would actually become too heavy and slow. So, we're concentrating on a fast, small boat that would have very small solar panels and maybe a small wind generator in order to produce the power. But like any other wind-driven device, you need wind make it work. Chris - Let's switch to Mariano Alvira who is from Seascope in the US and you've come over also for the Robotic Boat Racing Championship. What are you entering Mariano? Mariano - We're entering 2 boats. The first is a smaller half-metre boat that's a kit class and then the second boat is a 1-metre boat which is entirely custom made. Mariano - Yes, it's myself and my girlfriend Taylor. We do this for fun. Chris - So, what are the things that you're working on with your boat? Is it just literally staying in the race or are you hoping to win? Mariano - Our biggest problem is primarily boat issues. We're not boat designers, we're not very experienced in that, but we're very good with electrical things and mechanical things, and software in general. So, for instance, last year, one of our boats sank right before the contest and we've learned since then how to make boats not sink, which is sort of a big deal. Chris - That kind of matters, doesn't it? Mariano - Yeah, it turns out to be pretty important. Chris - And Paul, so will you be keeping an eye on what Mariano is up to and if it looks promising then the navy will nick it? Chris - You must have quite a lot of sort of translation going on here between what people like Mariano come up with the kind of work you do for fun, but then also, you see potential, and you could translate that back into industry and also into what the navy needs to do. Paul - Absolutely. The beauty of these competitions is by interacting with the engineers and scientists from around the world, not only do we learn different techniques for making these boats work, but we also establish great relationships with the other people. But some of these very clever ideas that folks have come up with, I bring back to the classroom and then my students benefit from that wider range of thinking. And some of those applications may end up benefiting the navy in the future. Chris - So tell us about the vessels that you're putting into the race and what are the odds of you winning? Paul - Well, the boats that we have are all completely designed, built and operated by our undergraduate students, and each year, they'll do a whole new boat design. So, we have now our 5th generation boat although the one we brought to this competition is our older 3rd generation boat. What we found is that when it is actually working, it is quite fast. The downside is, it doesn't always work. There are those pesky electronic devices inside that once they get wet, they just don't like to work. Chris - Oh dear! That's pretty fundamental, boats go near water. Paul - Yes, it is. Chris - So, what can you do? Paul - Well, we try very hard to make boats watertight. Actually, one of our tests is we take the boat, we submerge it underwater for 2 days and theoretically, the boat then comes up dry. And this boat has passed that test numerous times, but every time we go in and work on it, there is a chance that one of those seals doesn't work anymore, and we may get another leak. Chris - So, is it quite literally that you've got little motors and things which are winding all the sails and then that kind of thing? Is that how they're actually working and if so, how do you keep that dry? Paul - That is the case on this 3rd generation boat. Our later boat uses a servo-hydraulic type system which is much more watertight and more reliable, but does draw more power. On these earlier boats, they're actually are using model scale robotic sailing devices, servos, and they do come through the deck. And so, there is a watertight seal at the deck that a winch drum for instance goes through. And in one case, we actually used balloons as the seal. 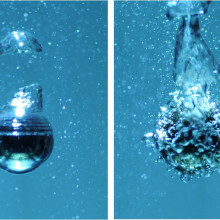 Adding a water-repelling layer to a metal ball means it can sit submerged without boiling explosively, scientists have discovered. Writing in Nature, Northwestern University researcher Neelesh Patankar and his colleague Ivan Vakarelski, coated 20mm diameter stainless steel balls with a commercially-available material called "Glaco Mirror Coat". This superhydrophobic layer repels water and is stable to temperatures of over 400°C. Compared with control, untreated balls heated to this temperature and dropped into cold water where they produced a fierce explosive boiling, the superhydrobic balls - in Petankar's own words - "did nothing". In fact, fast-frame video footage of the experiments show that the balls become surrounded with a layer of water vapour. Apart from being a relatively poor heat conductor, this prevents the liquid touching the ball surface, so it cannot boil off. The researchers think that the process works because the applied coating consists of nanoscale ridges and grooves. Liquid, they speculate, sits atop the ridges but cannot flow down into the grooves owing to the hydrophobicity of the surface. So water vapour fills the groove instead, keeping the liquid at bay. Why this is important is that explosive boiling occurring when liquids contact hot surfaces can be problematic in some industries. Being able to prevent this could be a major processing advantage. A way to produce replacement auditory nerve cells that can restore hearing to deaf animals has been discovered by scientists in the UK. Working with human embryonic stem cells (hESCs), Marcelo Rivolta and his colleagues at the University of Sheffield exposed the cells to two growth factors called FGF3 and FGF10 which have been linked previously to embryonic ear development. The team showed that adding these factors triggers a proportion of the unspecialised embryonic cells to switch on a discrete set of "marker" genes called PAX2, nestin, SIX1 and GATA3. Cells expressing these markers, they found, go on to produce two separate populations of cells, those resembling the hair cells that convert sound waves into the electrical signals in the inner ear, and a second group of cells destined to become the nerves that carry the signals from the hair cells to the brain. Injected into the inner ears of gerbils with a form of drug-induced deafness, nerve cells produced this way were able to restore hearing in the animals, in some cases completely. The researchers found evidence of the new nerve cells forming connections to the hearing-related parts of the animals' brainstems, accounting for the recovery. In their paper, published this week in Nature, the Sheffield team conclude, "The ability to reinstate auditory neurone functionality paves the way for a future cell-based treatment for auditory neuropathies," which are a significant cause of deafness among adults and children. "It may also, in combination with a cochlear implant," the team suggest, "offer a therapeutic solution to a wider range of patients that currently remain without viable treatment." A paper published this week in the Astrophysical Journal suggests that up to 90% of supernova explosions go unseen by the surveys designed to look for them. 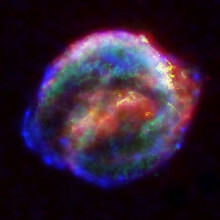 Ninety per cent of supernova explosions go unseen by the surveys designed to look for them, a new study has found. Supernova explosions occur at the ends of the lives of massive stars. When such a star runs out of fuel its core collapses to form a neutron star or black hole and a massive amount of energy is released. The outer layers of the star are blown off into space. The resulting light from these blasts can typically be more than a billion times brighter than a typical star, yet many seem to go unnoticed. For example, in our own Milky Way galaxy, there's ample evidence that supernovae occur every 20-30 years, yet none have actually been seen since 1604. One suggestion to account for this discrepancy is that dust - tiny solid fragments of soot produced by stars and that pervades the space around them - when sufficiently dense can form a literal smokescreen that it is impossible to see through, masking the majority of supernovae. Writing in the Astrophysical Journal this week, a team led by Seppo Mattila of the University of Turka in Finland develop this idea. They studied a nearby galaxy called Arp 299 using infrared (IR) telescopes. Infrared passes through dusty smokescreens much more easily than visible light, making it a good tool for probing previously-concealed details of galaxies like Arp 299. What they found was that massive stars tend to cluster more tightly than Sun-like stars within the most densely-populated parts of galaxies, where interstellar dust is also at its thickest. And because it is these stars that gives rise to supernovae, they too cluster strongly in these regions. As a result, Mattila's team conclude that between 80 and 90% is the supernovae produced in these regions would have been missed by the traditional surveys. This helps to explain a mystery of why supernovae are so rarely seen, but also means we can begin to better understand the effects that these supernovae have on their surroundings. Cambridge University scientist Beverley Glover has discovered the brightest thing found in nature. But what is it and how did it claim that title...? Beverley - What we found is that the fruit of a plant called Pollia condensata that lives in Africa is the brightest thing in nature. It reflects a higher percentage of the light shining on it than anything else ever recorded, including the famously bright shiny butterflies that you see out there. It's a blue-coloured fruit with speckles of pink, yellow, and green in it. It's iridescent. It changes colour as you look at it from different angles and the colour is really bright and really striking. Chris - How did you find it? Beverley - A colleague in the Royal Botanic Gardens at Kew was looking through their collection and she knew that I was interested in plants that use structures to generate interesting colour effects. They're not just your usual pigmentation, but more unusual or striking colours and she saw this very bright blue fruits that had been collected over 50 years ago. Even though they'd been pressed and dried, they were still as bright as when they'd been collected, so she passed them along to us to do the analysis. Chris - And how do you know that they are the brightest thing in nature? Beverley - Well, they may not be. They're the brightest thing measured so far in nature, which would be a fairer way to put it. So the percentage of light that they reflect back is higher than that reported for anything else that anybody has ever measured. Beverley - Yes, we do. It's a very clever mechanism and interestingly, it's an example of convergent evolution because a lot of animals use a similar mechanism. If you think of bright blue butterflies or beetles then they're highly reflective because they have layers of secreted chitin on top of their wings and the layers are spaced at just the right frequency to reflect back particular wavelengths of light. The cleverness in the system is that the more layers you have, the more light you reflect back, so you get a higher percentage of reflectivity. What our fruit is doing is that every individual cell on the outer layer of the fruit has layers within its cell wall. So these are plant cells, they have cellulose cell walls and those walls are made up of layers of cellulose, and there are many, many, many layers of cellulose, and so, of course, they're able to reflect a very high amount of light back. Chris - Why do they do this? Beverley - We haven't done any experiments out there in the field to check this, but their distribution suggest that they're dispersed by birds. They don't pop open of their own accord so they probably need to be swallowed or to go through the bird's digestive tract for the seeds to come out. And yet, they don't provide any food reward and so, we think that it's actually a trick that nature has come up with a cunning scheme for attracting birds by being just really bright and shiny, even though there's nothing in it for them really. Chris - Would that be birds that like shiny things, like magpies and bowerbirds that like to decorate their nest with bright things to attract females? Beverley - That's very likely. It could also be that they just look like really bright blue juicy fruit, but you'd think a bird would learn that quite quickly. So, we think that it's more likely that it's about birds that decorate their nests and that are trying to attract females. Chris - And given that you've worked out how the fruit does this, could we do anything similar or could we use that knowledge to produce ultra-bright things for us to use? Beverley - Absolutely. So, it's a very setup because it's doing it with cellulose and cellulose of course is highly biodegradable, but also extremely cheap to grow because plants are basically made out of it. So, if we can figure out how the cellulose is organised in that way, we could potentially grow food colorants which are entirely nontoxic, biodegradable or colours for fabric as well. So, there's lots of potential application there. Chris - But would they be like the Henry Ford? Would they be any colour you like as long as it's blue? Beverley - No, not at all. The stacking frequency of the multilayers determines what colour you get. So, the fruit is actually multi-coloured because although most of the cells have their cell walls set to the frequency that generates blue, some are stacked to a slightly wider spacing and they generate yellow, or pink, or red. Chris - Brilliant! Sorry about the pun. 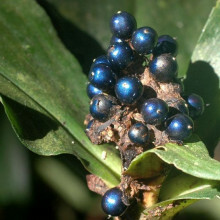 That was Cambridge Scientist Beverley Glover, discussing the bright blue fruit of the Pollia condensata plant. That was work she published this week in the journal PNAS. Chris - You famously showed that if people have overweight friends on Facebook then they're more likely to put on weight themselves, and now you're turning to politics. James - Yes we are and this week, we reported the results of an experiment that we conducted on election day in the United States in 2010, where we randomly assigned the 'Get Out the Vote' messages to 61 million people on Facebook. There were 2 different kinds of messages. One with faces of friends and one without, and there was also a control group that received no messages. And the results of the experiment showed that the message directly mobilised 60,000 people who saw the message, but it also mobilised an additional 280,000 people who were friends of the people who saw the message. And we were able to do this because in the United States voting records are public and we were able to match about 6 million of the Facebook users to publically-available records to see whether or not they actually got to the polls. Chris - So you could check up on them as well. So just to recap, you had 3 groups of people. A control group who you just looked at and just monitored their behaviour, you've got a group who get a little button which says, "go and vote" and another group that say, "go and vote and by the way, here are some friends of yours who voted." James - That's correct and the interesting thing about the 2 different kinds of messages we showed people, there was one that had pictures of their friends who had clicked on the button during the day and another one didn't have these same pictures. What we found was that, the one that had the pictures, actually was the one that did all the work. The one without the pictures, the rate of voting for the people who got that message was exactly the same as for the people who saw no message whatsoever. And so, these pictures of your friends are what seemed to be doing most of the heavy lifting in terms of the total effect of the experiment on real world behaviour. Chris - But do you know James, whether it is just seeing pictures of your friends that makes you attend to that bit of the screen more and for longer so you'll notice the, "go and vote now" message more or is it that the friends have voted and this makes you think, "Wow! I'd better keep up with what my friends are doing"? James - That's a good question and we would like to figure this out I think in a future experiment. Right now, we just know that the message works, but it's possible that it's just something that draws your eyes to the message because, you know, just like when you see a list of random words, if your name happens to be in that list of random words, you're likely to be able to pick it out very quickly. Seeing faces of friends, that might cause you to attend the message, but one of the things that we were able to show was that, not only was it the case that people who saw faces of their friends voted more, but the friends of the people who received the message voted more. 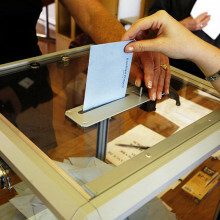 And so, the consequence, there was something that happened on the way from you getting the message to your friend voting that probably had something more to do than just attending to the message, had to do with the process of social influence. Chris - So, what are the implications then? You put this message up and people see that their friends have reacted to it and you end up with a bigger result through the social networking impact then the primary advertising in the first place. Facebook must be delighted. James - That's right. Yeah, it was really interesting. To make it just perfectly clear, for every one person whose behaviour was changed directly, there were 4 friends whose behaviour was changed. And the interesting thing is I think that campaigns, they've gotten very smart in the last few years in countries like the United States and in Europe, and they do experiments. They do this message testing on a large scale, but I think that they don't necessarily utilise all these new social network information that we have and what this really shows is that if you were just looking at the people who receive the message, you'd be missing the whole story. The network is really key here. Chris - Is the fact that voting is something that people should universally do also important because if you had conversely put up an advert saying, "Mrs. Whoever bought a Ferrari" now that's only going to be relevant to a subset of people and a subset of friends, and therefore, it's unlikely to have the same impact as if it said, "go and vote" because that's something that doesn't attract a physical cost and also, is something everyone should do? James - I think that's exactly right and in particular, I would expect these social effects to be stronger for things that we think of as social behaviours or socially appropriate behaviour. Another thing that we found in the study, just like we have found in other studies, is that there are some people who clicked on the "vote" button in this case, but then we went to check up on them, they didn't actually vote. And I think one of the reasons why is because it's highly socially desirable to be seen as participating in politics. When it comes to buying a Ferrari, you might get some social benefits out of owning a Ferrari, but it's not about people saying, "This is your obligation to own a Ferrari." So, I do think that it may be the case that we wouldn't see the strength of effects for other kinds of things online. Chris - What's worrying me though is the sorts of numbers that you're producing from this study of people whose voting behaviour was influenced. If you look in the state of Florida, in the Bush/Gore election, that was one with nearly 600 votes only - a tiny number - you're influencing orders of magnitude more people with this study. So, does this mean that potentially, a savvy politician using Facebook could actually totally skew an election result then? James - I do think that these are going to be effective tools, but everyone is going to know about them. And so, I think that what you'll see is, both sides are trying to use the tools and both sides trying to mobilise their voters. And it's important to remember that although it was a very large number of people - 340,000 people - this is out of 61 million and so, it's a small effect, but because it's spread out over a very, very large number of people in a very, very large network, I do think it's possible that as we learn more about how these processes work that you could do targeting, and you could get those 537 voters in Florida that you would've needed to change the outcome of the election. Chris - James, we'll have to leave it there, but thank you very much. That's James Fowler from the University of California San Diego, and he published that report this week in the journal Nature. Eating a high fat diet during pregnancy could increase the risk of breast cancer of mothers, their daughters and even their granddaughters. Sonia de Assiss and her team at Georgetown University compared two groups of pregnant rats, one fed a high fat diet and the other fed a normal diet. 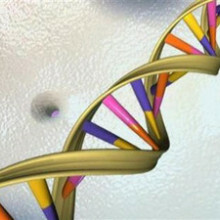 Three generations of DNA are present in a pregnant mother: her own DNA, the DNA of the daughter in her womb, and the DNA in her daughter's eggs which are already present in the developing foetus. The high fat group of mothers showed increased oestrogen levels, which were linked to cancer-causing chemical changes to DNA of all three generations. This study, published in Nature Communications, will help scientists understand how breast cancers are inherited. "The important message here is that ancestral exposures, what your parents or grandparents were exposed to, can affect your risk of disease, and in this case, breast cancer." Rain is more likely to fall over drier ground than wetter ground, a study published in Natureshows. Christopher Taylor and his team at the Centre for Ecology and Hydrology looked at images from weather satellites around the world to track where storms happen and compared this data with measurements of local soil wetness. Previously it was thought that the high humidity over wet ground would be more likely to seed storms. But Taylor found that the reverse is true, and the higher temperatures over drier ground is a key factor in creating storms. This, say the scientists, pours cold water on current weather forecasting and climate prediction models. "Rather surprisingly, we found that the models do the wrong thing in a sense that they produce rain over wetter soils rather than drier soils. That's quite an important problem for the simulation of droughts and also for weather forecasts, and it's one which I think weather centres really need to start thinking about how they represent that process." Scientists have found five genes linked to facial appearance. Manfred Kayser and his colleagues at the Erasmus MC University Medical Centre in Rotterdam used MRI images from thousands of people of European descent to map 48 key facial characteristics. The genome sequences of over 4,000 people were then combed for genetic hotspots reproducibly associated with these facial landmarks, identifying regions on chromosomes 1, 3, 5 and 10. While three regions had been identified in previous studies, two were entirely new. Kayser hopes that further work building on this study published in PLOS Genetics will lead to advances in forensic science. "You could imagine that at some point one will be able to predict facial appearance, facial shape from a DNA sample. So in other words, you take a DNA sample, you do your genetic analysis, and you come up with a facial image." And finally, a Boeing 747 with a difference will be lifting off this November. SOFIA, the Stratospheric Observatory for Infrared Astronomy will be carrying a telescope with a diameter of 2.5m and will fly at 40,000 feet into the stratosphere to view the universe in the infrared. At this height SOFIA will be free of the cloud layer that blocks infrared light from the ground. Erick Young is SOFIA's Science Mission Operations Director. "We'll be looking at the cooler things in the universe such as planets, dust clouds, star formation regions, and external galaxies. They give out most of their radiation in the infra-red and are too cool to give off light at visible wavelengths. By doing this, we're able to have a much richer view of the universe." Global warming may dominate today's environmental headlines but not so long ago it was acid rain. Caused primarily by emissions of sulphur dioxide and nitrogen oxides from power stations and factories, these oxides form acids that acidify soil, damage plants and end up in our river systems. Acid rain emerged after the growth of industry and although the problem peaked in the late 1970s and early 1980s and has largely gone away - at least in Western Europe - its legacy lives on. Steve - About half of the length of rivers in upland Wales, that's about 12,000 kilometres overall have been affected by the problem of acid rain. What we've been trying to understand, essentially, is the recovery processes that have occurred in our river system particularly with respect to effects on organisms that live in the river, insects, fish and then consequences also for things like river birds. Richard - And how have they recovered or haven't they? Steve - As you would expect as emissions of acidifying substances have gone down so the river pHs have slowly come up, something like about 0.2 to 0.3 units every decade, but what intriguingly we're seeing is that there is a mismatch in the speed of recovery in chemical terms and that's actually shown by the organisms that live in rivers and what we think is that the ecological and biological recovery is lagging behind what you would expect from the changing chemistry. 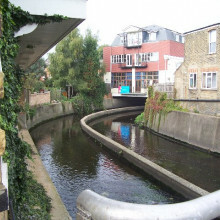 Richard - So the river water is fine and it should support much more life than it does. Steve - The river water, in fact, is fine on average but what we think is the reason why organisms are not recovering quite so rapidly is that during wet conditions, stormy conditions, exactly the type that we've had this summer, there is a re-acidification, so short duration episodes of acidity that wipe out acid sensitive organisms and we think that is what is preventing this longer term recovery. Richard - Where is this acid coming from and why are you getting these short burst of acidity? Steve - Even just adding lots of water to our catchments by way of rainfall is enough to dilute all the calcium and magnesium that would normally buffer acidification and also because of that 150 years of the stored effects of acid deposition, of acid rain, we've very substantially depleted what buffering there might want to be in our soils. Richard - How does this compare to ocean acidification? Steve - So these really are two extremely different but quite interesting processes, so in the case of river acidification it is sulphur and nitrogen oxides that are responsible for the acidifying substances. In the case of marine systems essentially a pH reduction is being caused by huge volumes of carbon dioxide that are dissolving in seawater and actually driving the pH down. What's astonishing is how different the pH reduction is. So in the case of marine acidification we're talking about 0.2 or 0.3 of a pH unit. In rivers acidification that we saw because of acid rain was something of the order of 1.5 pH units, so dramatically different. Matthew - That's right - so my work involves looking at how elevated atmospheric carbon dioxide affects tree leaf litter chemistry and then how that leaf litter then decomposes in fresh water ecosystems. So what we're looking at here is that increased carbon dioxide affects leaf litter by changing the composition of its carbon/nitrogen ratio and when the carbon/nitrogen ratio decreases we see effects on the river system. Richard - So the chemistry of leaves is changing? Matthew - That's right, that's right. So basically we end up with carbon levels staying the same but nitrogen levels dropping relative to that carbon. Now what happens alongside that is that we can get other changes - that includes increases in defensive chemicals which generally are quite unpalatable to organisms that might feed on that material. We can also see increases in things like lignin and cellulose which are basically the structural components of those leaves. So, therefore, carbon dioxide makes those leaves tougher and more difficult to breakdown. Richard - So why does this matter for the river? Matthew - Rivers and woodlands are very dependent on input of leaf litter - that's the main source of organic nutrients. When that changes, when the amount of carbon changes you then find that the general chemical composition of that river will change at that point and further beyond that point downstream. 50:46 - Will robots take over the world? Alan - No, I don't think so. I suppose to put it very simply, why would we engineer robots to take over the world? Chris - That's a very good question. I guess we wouldn't, but then if they become clever enough to start writing their own future, I suppose they could. 51:11 - What is robotic mapping? Alan - I think you're referring to something called Simultaneous Localisation And Mapping, sometimes called SLAM. It's amazing technique where robots can estimate their position and both localise and, if you like, build a map of the environment that they're in at the very same time. 51:57 - Can robotic sailing developments be applied to submarines? Colin - Attenuation of radio and water is certainly a problem, but a lot of the control theory that goes into making a surface boat work can also apply in the submarine, and certainly, the issues of getting things waterproof is even harder in the submarine because you've got added water pressure. And actually, a few of the groups who are here are also into submarine stuff. Chris - What do you guys think? Paul? Paul - Absolutely. I think that field in many ways is more advanced than the robotic sailing because you've got that somewhat simpler case of, you're under power and so, you don't have to worry about what the wind is going to do to you. 52:36 - What are the latest advancements in telemedicine? 53:09 - Has life only started once on Earth? If Earth is such a great place to live, why to our knowledge has life only begun once on this planet? We put this to Dr. Nick Lane, Lecturer in Genetics Evolution and Environment at the University College London. And started by asking him to define what life on Earth as we know it actually is... Nick - All life as we know it on Earth is composed of cells with an enclosing membrane, DNA as hereditary material, encoding proteins and so on. All cells share a lot of their basic biochemistry right down to the same genetic code, the same ways of making proteins, even the same ways of generating energy. Hannah - So, given that, has life as we know it or indeed alternative forms of life arisen more than once on Earth? Nick - We don't know for sure that life only started once on Earth. What we know is that all living organisms we've ever looked at are plainly related and so, almost certainly derived from a single common ancestor. If life arose repeatedly then all of the separate origins must've disappeared without trace. Perhaps out-competed to extinction very early on by the more successful cells. The fossil record of bacterial cells goes back about 3,500 million years, that's 3.5 billion years. And so far as we can tell, these cells were very similar to their modern equivalents. Hannah - So, different forms of life may have started, but it seems that just our form of life survived over the last 3.5 billion years. And where could our type of life have started? Nick - Deep ocean hydrothermal vents are the systems most likely to have given rise to life. These far from equilibrium systems do at least favour the production of organic molecules, the biomass that makes up cells, but the level of self-organisation and dynamism required to get from cell matter to living cells is so great that we're in no position to specify the probability of life arising even in the most favourable environment. Hannah - So, if we're told that conditions on Earth are so suitable for forming life, then why aren't new types of life arising all the time on present-day Earth? Nick - There are two big differences today which mean that life is almost certainly not continuing to arise even in these favourable settings. One is the chemistry of the oceans. Four billion years ago, there was no oxygen and much higher CO2 levels which together are much more conducive to life and then secondly, today's vent systems are already packed with living cells which are far more effective at converting raw materials such as hydrogen and CO2 into biomass than any primitive prebiotic system could be. So, however likely life might have been at the beginning, it's extremely unlikely that life could originate again on Earth today. How are robots helping with surgery? Next Can we turn an asteroid into a space-station?